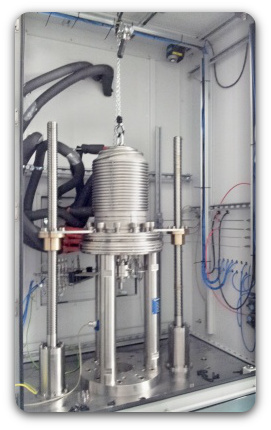 In 2013/2014 we designed an application for a german research institute to do mechanical test of samples (fuel cell components for the automotive industry) under pure hydrogen environment. The main task of this installation is the explosive environment of hydrogen. Additionally to the standard components, we also installed the safety parts. This installation has to get an individual acceptance of the German TÜV, equivalent to an ATEX individual acceptance.